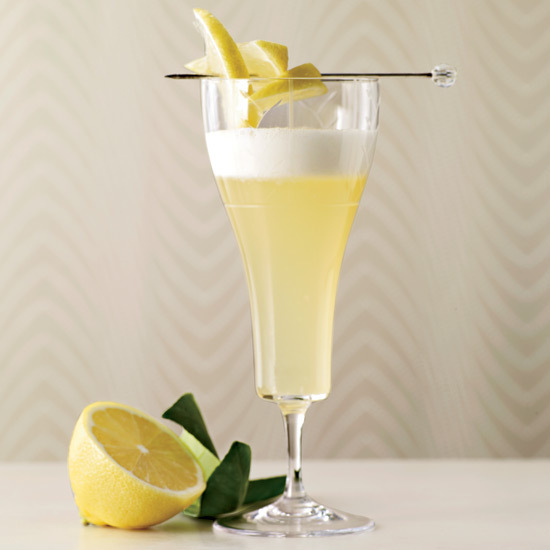 Spritzy and refreshing, a gin fizz is simply made with gin, lemon juice, sugar and soda water. And while the original, sweet-tart cocktail is delicious, it can be tweaked and tinkered with to fit your tastes. Here, four ways to reinvent the gin fizz. Spritzy and refreshing, a gin fizz is simply made with gin, lemon juice, sugar and soda water (plus an optional egg white if you want to make it a silver fizz). And while the original, sweet-tart cocktail is delicious, it can be tweaked and tinkered with to fit your tastes. Here, four ways to reinvent the gin fizz. Add some herbs. Swap out the sugar for an aromatic rosemary simple syrup. Garnished with a sprig of fresh rosemary, it’s the perfect holiday cocktail. Infuse it with tea. Infuse gin with jasmine tea for a beautifully floral take on the citrusy cocktail. Give it some color. Concord grapes and port give the frothy cocktail a vibrant purple color and deep, fruity flavor. Make it tropical. Muddled lychees and lemongrass syrup transform the cocktail into a sweet and exotic drink.